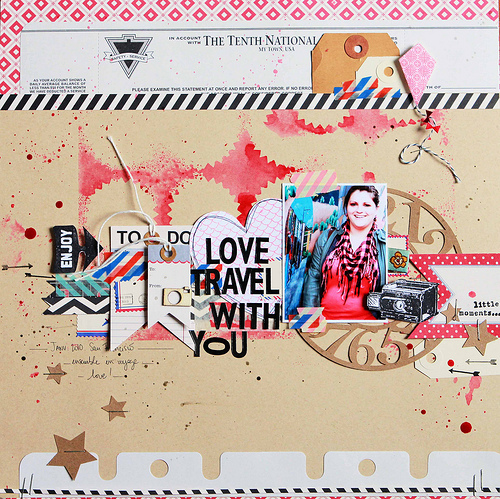 Here are two beautifully artistic layouts from Karine Cazenave-Tapie featuring JBS digital cut files. 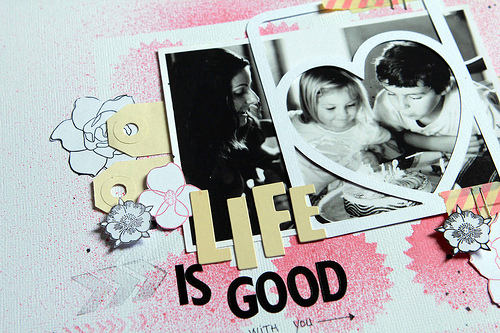 She created the lovely backgrounds on both layouts using the exclusive stencil from the November JBS Mercantile Papercrafting Kit. 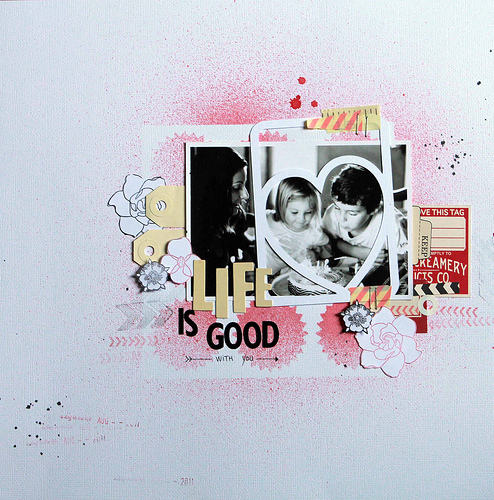 I placed it on my white cardstock at first and sprayed pink ink, then before the ink dried, I turned the mask over and applied it to my kraft cardstock. 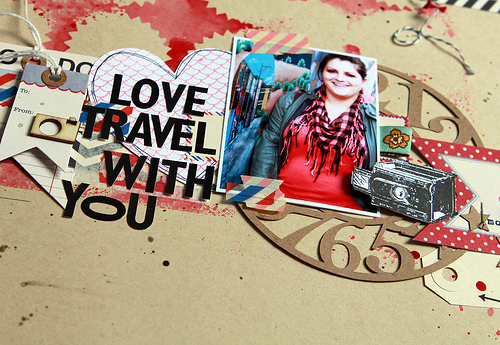 I selected red & black patterned papers from the self-titled collection: scraps will do! On the first layout, The heart-shaped frame is simply stapled on my picture, for a better focus on two of the three subjects. On the second layout, I used the clock shape on my picture, and added the heart left over from my previous cut session and some little stars! 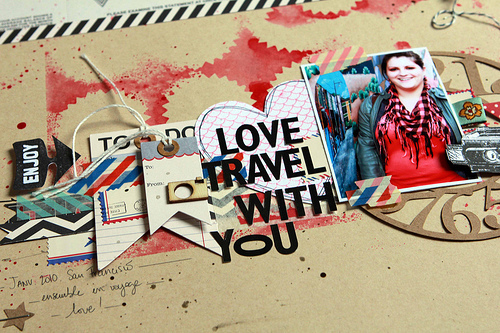 Add some stamps, washi tape here and there and you're done! I hope you'll like both creations! 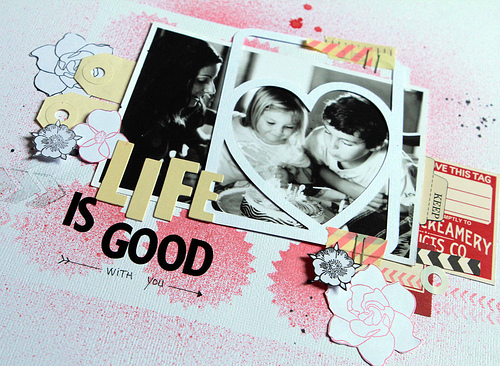 wow - crazy good layouts! The first is so sweet - i love how the faces are framed by the heart. the second, i can look at forever - i keep thinking i'll miss something - it's layering at its best!